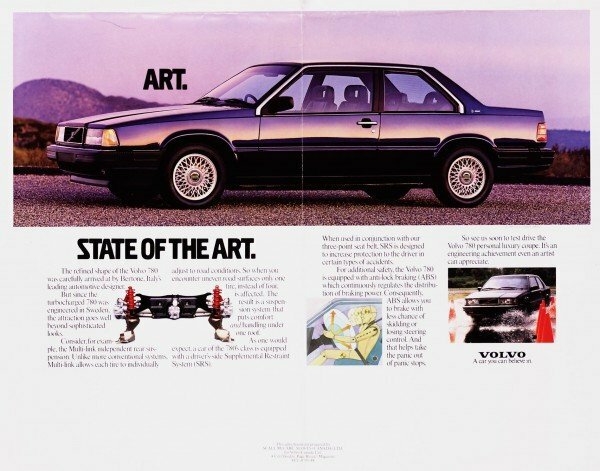 Bob Austin’s task of promoting the new Volvo 780, as the head of marketing for Volvo of North America, was no small job. The US market was going to be the biggest, with some 5,600 of the 8,518 cars shipped to the US. But from the dealerships to the buyers, no one new or expected this type of car out of Volvo. 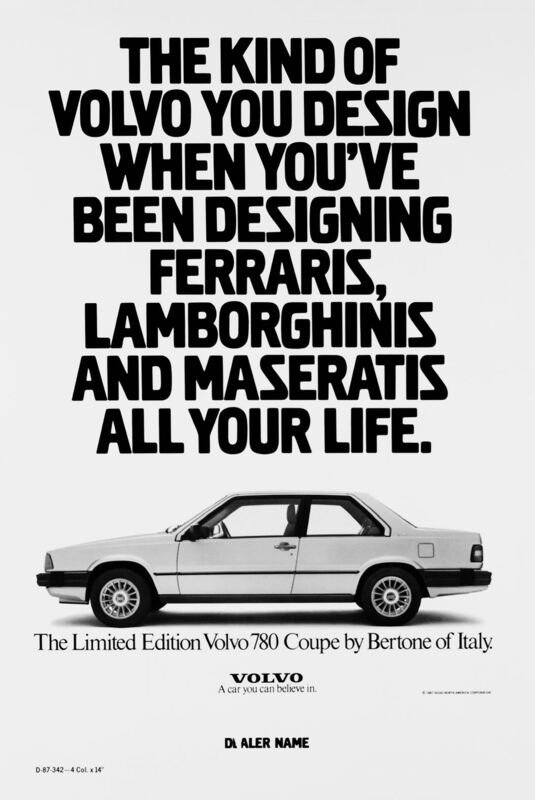 Bob did some amazing, and creative thinking, to convert the average 240 buyer into a luxury car owner and to lure the BMW and Mercedes owners into Volvo showrooms to see this limited edition sports coupe. Bob explained in an interview “We depended more on PR to build the market for this car than advertising. The primary reason was why would you expend so many dollars (TV and Print) to sell so few cars? 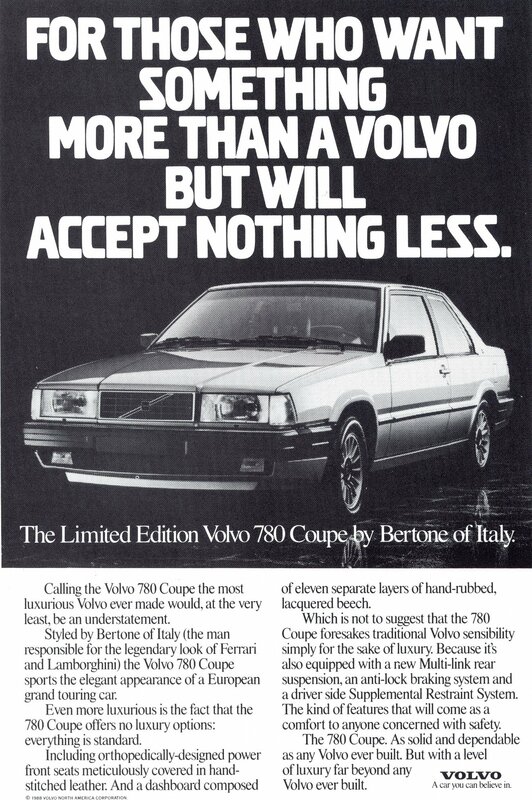 We were selling 100,000 cars a year at that time (way more than the 56,000 they are selling today) and only 2% were going to be 780s.” So in the end, few ads were even developed. Thanks to Bob and the Bob Austin Collection for these ads. Anyone seen others? What were put out in the European markets?